Repair techs at a Honda dealership rescued a kitten stuck in a car’s engine compartment, and the kitten was safely returned to its mother and littermates. A crew of technicians at a Witchita, Kansas Honda dealership rescued a kitten stuck in a car’s engine compartment earlier this month, and the kitten was safely returned to its mother and littermates. A customer at Scholfield Honda came into the dealership’s service shop asking for help when she realized the kitten was trapped in her car. After the feisty little kitten’s rescue, the driver returned it to her neighbors and it was reunited with mama kitty and its siblings. 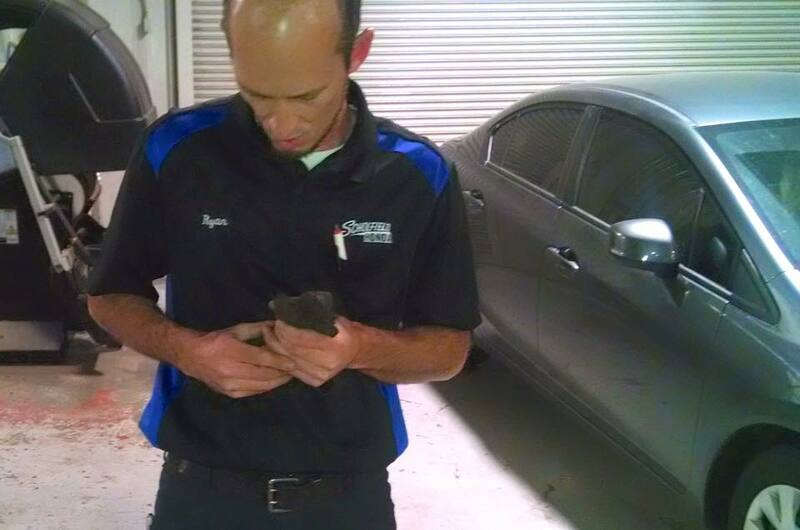 “Team Honda came through this morning by rescuing a kitten stuck on top of the gas tank of a customer’s Accord. The customer heard the kitten and asked if we could get it out. She thinks it’s one of her neighbor’s cats new litter. 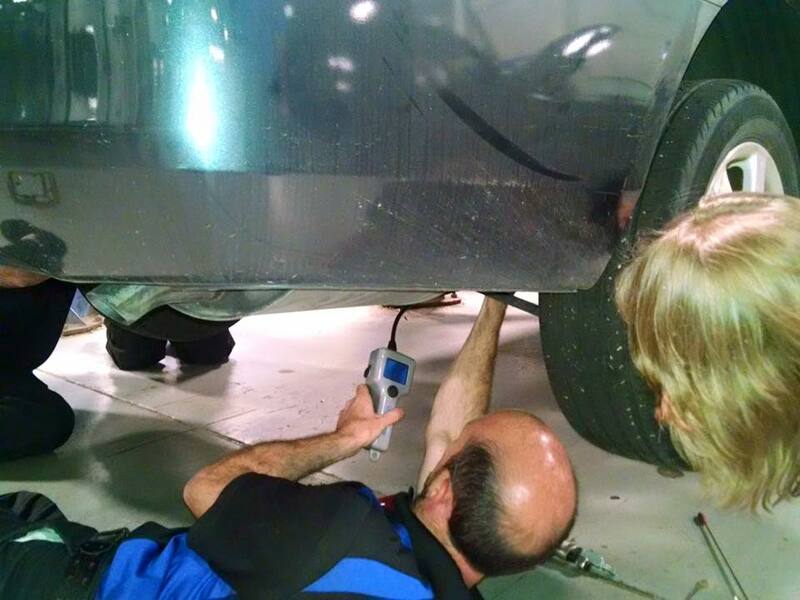 “Shop Foreman Ryan Smith, with help from technicians Shep Rampogu and Jeff McCutcheon, were able to extract the frightened kitten from under the vehicle. “Said Ryan Smith, ” I took my boroscope and was able to find her on top of the gas tank. I then took an air hose and guided her down with a few short blasts of air”. lots off kitten saves this summer at dealers everywhere!